Toni Morrison Set: "Song of Solomon," "Jazz," "Beloved," "The Bluest Eye." 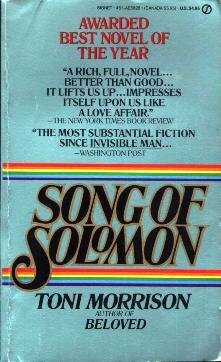 SONG OF SOLOMON. A Novel. 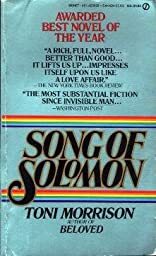 The third novel from one America's most powerful writers turns 20 years old in 1997, but Song of Solomon long ago ascended to the top shelf in the ranks of great literature. This Everyman's Library hardcover edition of the Nobel Prize-winning Morrison's lyrical, powerful, and erudite novel contains a chronology that situates the book in its historical context, and an introduction from author Reynolds Price.